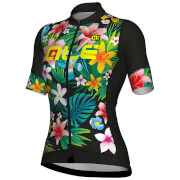 The Marina woman jersey is an ideal, fresh and comfortable jersey for those who require a close fitting and high performance and lightweight fabrics, particularly suitable for the summer days. 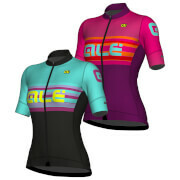 Giro sleeves and several fabrics to achieve the best breathability, lightness and air flow. The front part made with micro perforated fabric, side panels and sleeves in the new Mesh Dragon fabric. 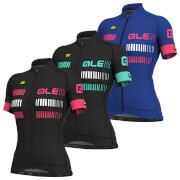 On the back the Rap-Dry Carbon fabric provides freshness and keeps the ideal body temperature.